OPTOBIT – YOUR PARTNER IN FIBRE OPTICS. In the telecommunications industry, data traffic keeps doubling every year and therefor demand and usage for different fibre optic products are more and more popular. Having had long experience in fibre optic production, we offer our customers a wide range of fibre optic network solutions and products. Today our solutions are used in more than ten European countries. We are able to offer special design products based on the customer’s demands, requirements and expectations which differentiates us from our competitors and gives our customers advantages in being more successful. 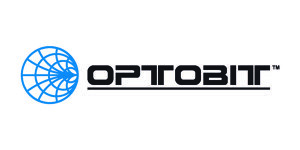 The production of fibre optic connection cables under the Optobit brand started in 2001 when the Baltronic Group was established. 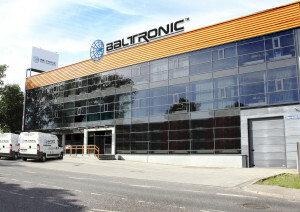 Today Baltronic assembles products on two continents and this has given us a chance to increase our production capacity, make our product range much wider and much more competitive. To meet our customer’s expectations in faster deliveries, we keep stocks for fibre optic products in all Baltic countries (Estonia, Latvia and Lithuania). We are placing a good deal of effort into our own production requirements, meaning we make investments in people and machinery. In order to anticipate future needs, the company pays serious attention to developing the skills of its employees through different forms of training. We use highly and precisely calibrated equipment for measurements and testing at different stages of our manufacturing processes. All tests are carried out by skilled technicians with years of experience in the field of fibre optics.